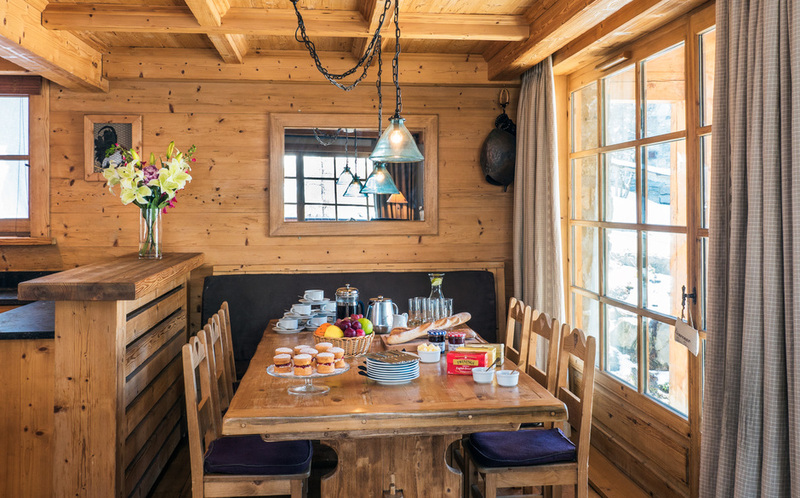 Madrisah is part of Chalets Suisses, a small private hamlet designed and built on the secluded sun-drenched knoll of Le Cret, one of the earliest and most charismatic enclaves of Val d' Isere. 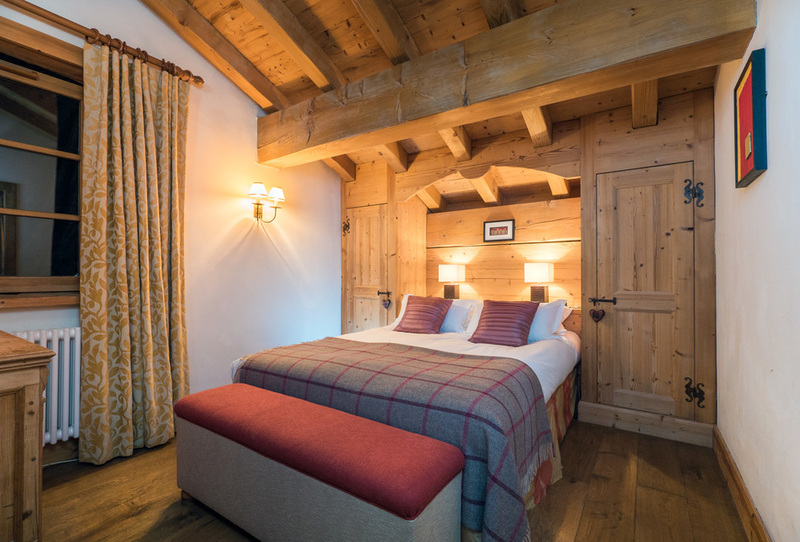 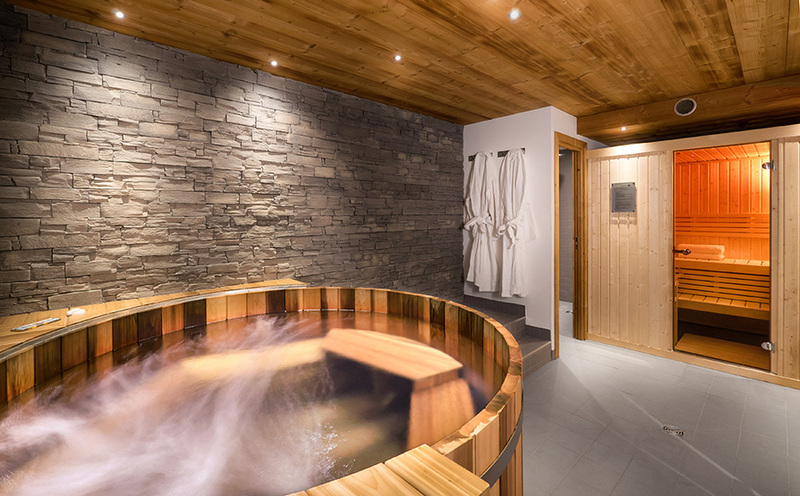 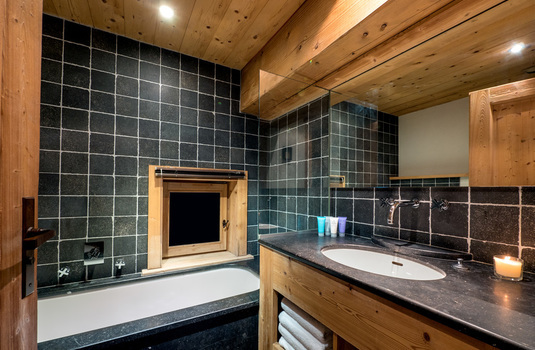 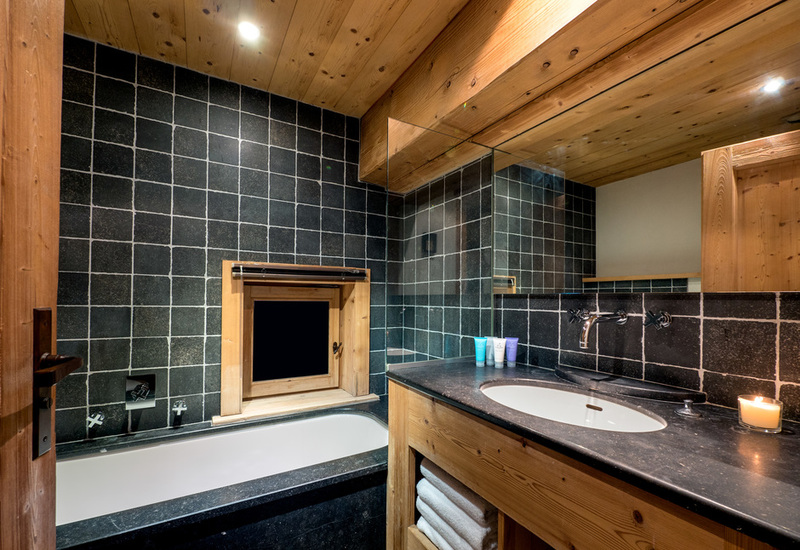 The four stone and slate chalets seek to blend the ambience of an old stone village and traditional Alpine decor with contemporary cutting edge design and absolute comfort. To the weathered oak floors and seasoned timbers, we have added a veneer of cool contemporary styling including designer bathrooms, discrete state-of-the-art lighting, wireless internet access and DVD plasma screens with cinema surround sound. 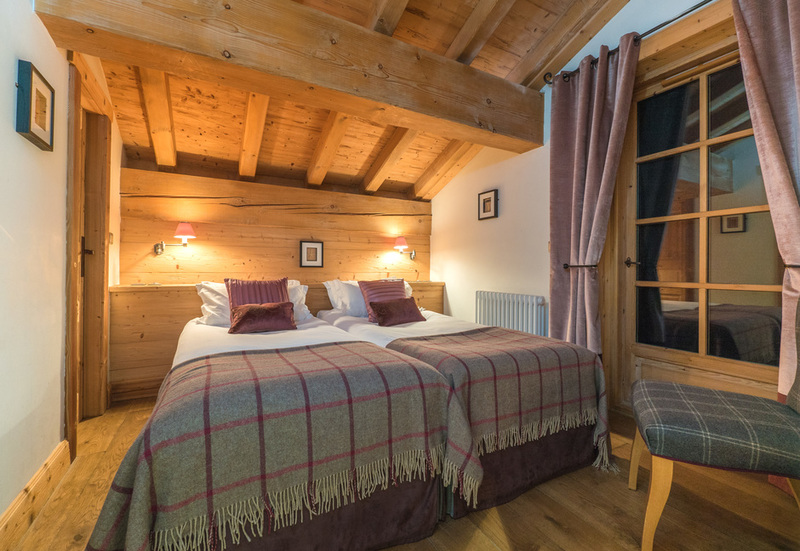 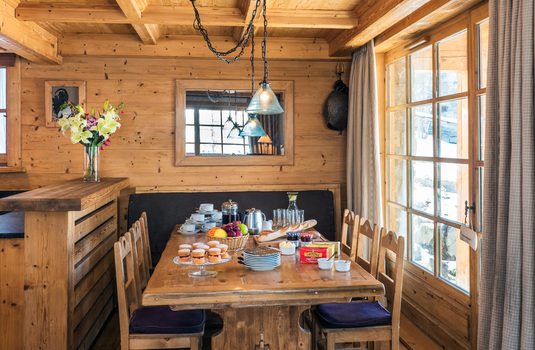 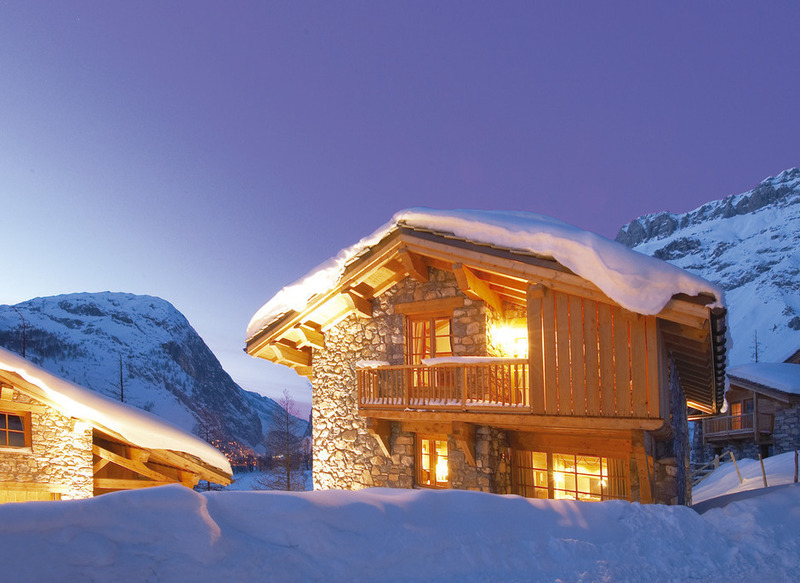 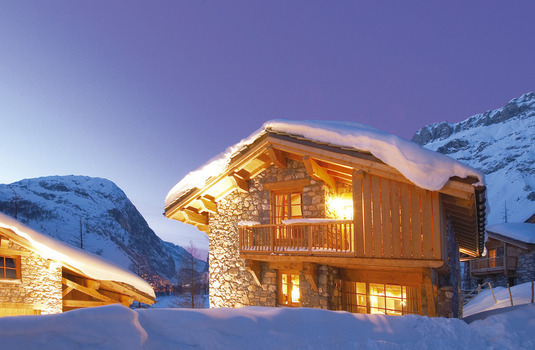 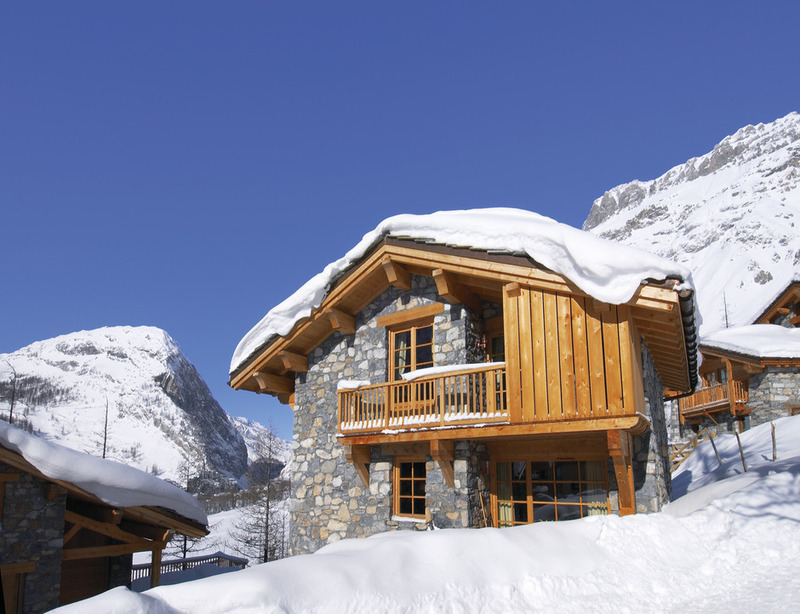 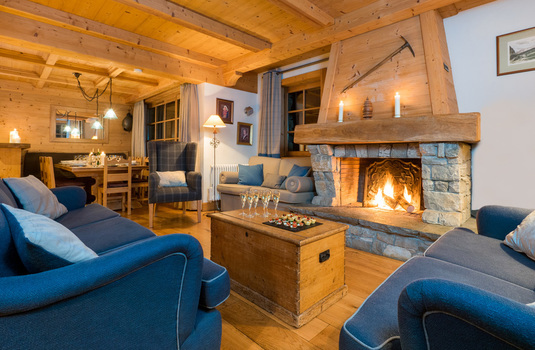 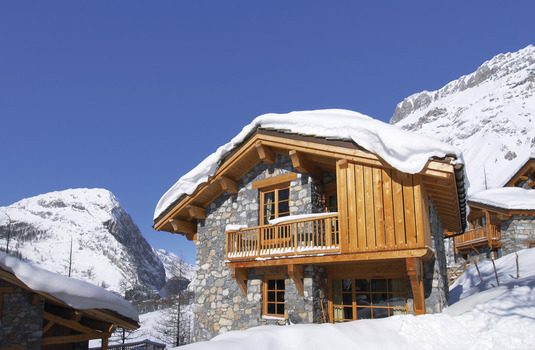 We have dressed each chalet individually with scant regard for cost and used only antique furniture, the finest fabrics, handmade squashy sofas, goose down duvets and original art. 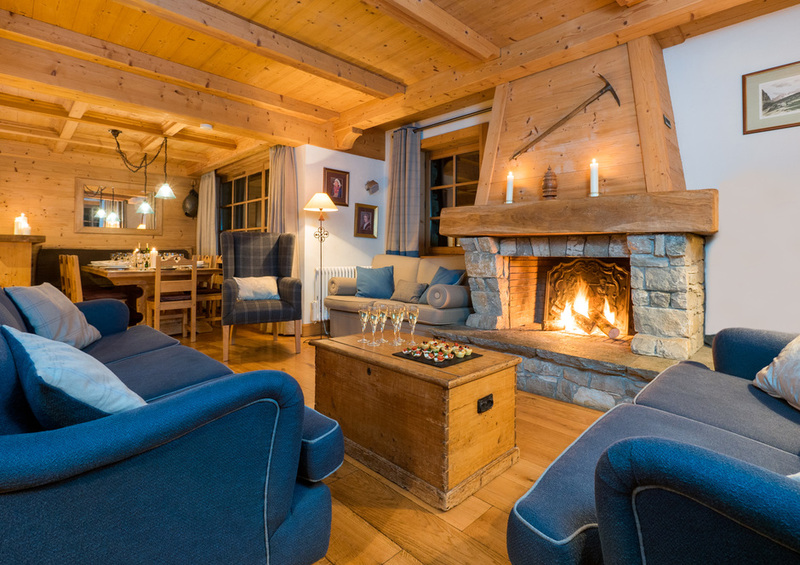 Madrisah boasts a glorious open fireplace, towering central staircase and an enchanting dining area with terrace.